Sometimes you have to browse the aisles of the craft store to see what inspires you. In fact, that’s one of my favorite hobbies! 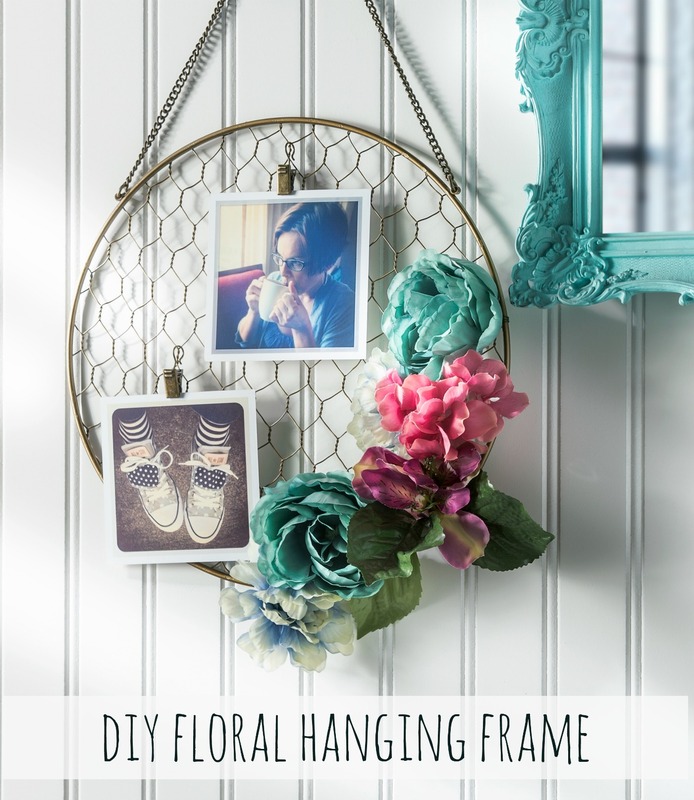 And that’s exactly what I did to come up with this DIY floral hanging frame project you see above. It started when I was tasked with coming up with an idea for the Michaels Makers March challenge using items from their Floral Market. The new market has over 500 new blooms and freshly picked projects for your browsing pleasure, and that’s where I grabbed the florals for this project! 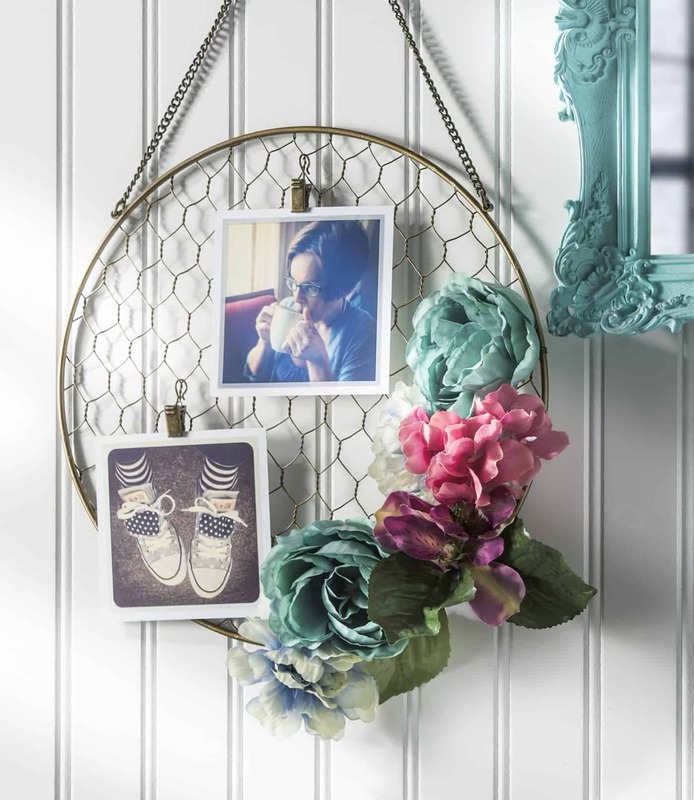 You’ll see that just by adding a lovely floral arrangement to a wire frame, you can completely transform your home for the fresh, new season. 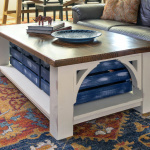 It’s really easy to make this project, and I’ll show you how it’s done. Here are your basic materials. 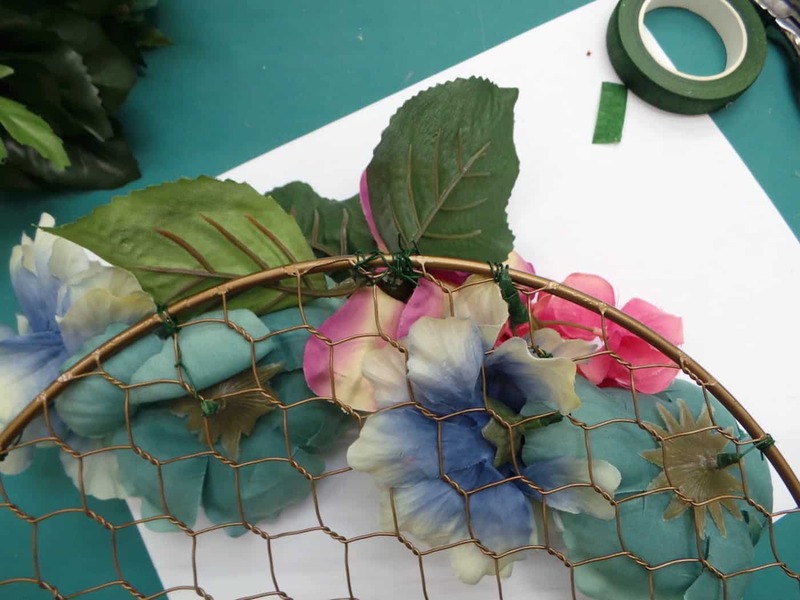 I highly recommend having floral wire and floral tape on hand – just . . . because. You’ll start by clipping a length of wire (about 8″?) and folding one end over. 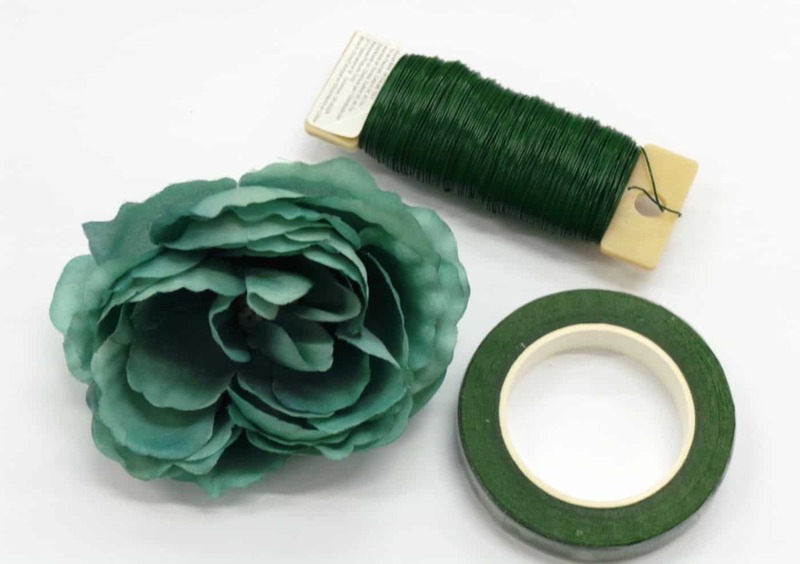 Then you’ll wrap floral tape around the end to make the nub you see above. You’ll remove the regular end of the flower and stick your nub into the hole (don’t laugh!). This becomes a new, wire stem. Two things to note. 1) if the nub end isn’t thick enough, add more floral tape. 2) if it still won’t stay in, add a dab of hot glue. 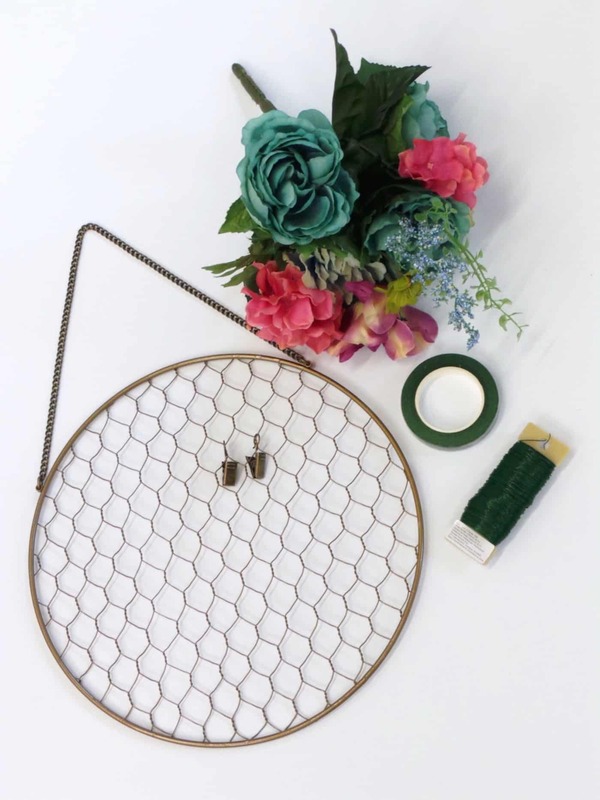 Now you can wrap your floral wire around the wire frame! Adjust the blooms on the front after you wrap them. Repeat the process with other flowers and add them. You can also wrap some leaves into the wire as you are going along. That’s all it takes! 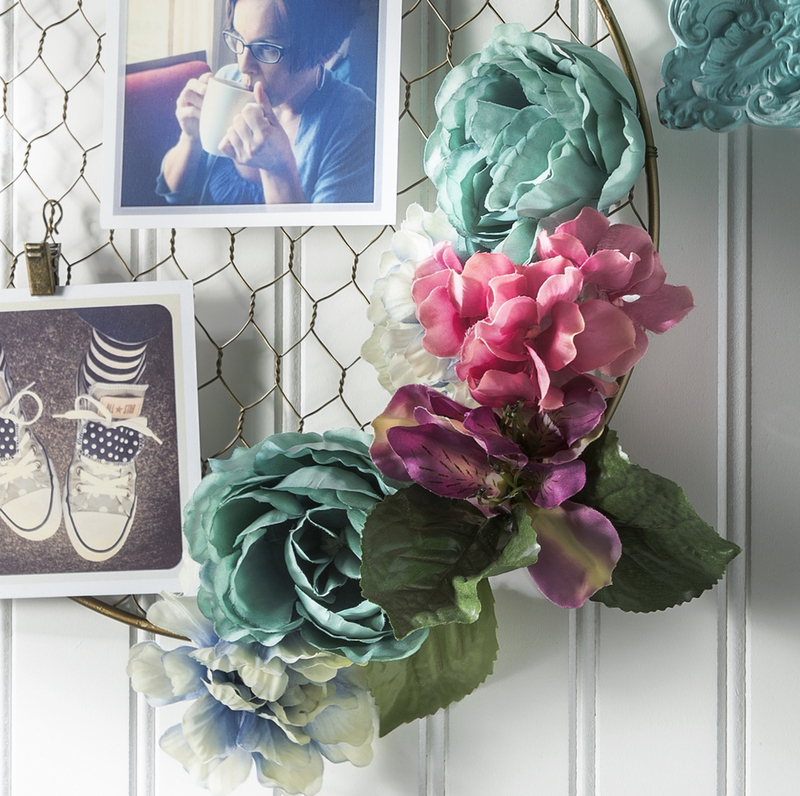 You’ll be done with your DIY floral hanging frame in just a few minutes, and then you can hang pictures using clips. I love this wire frame in my studio! 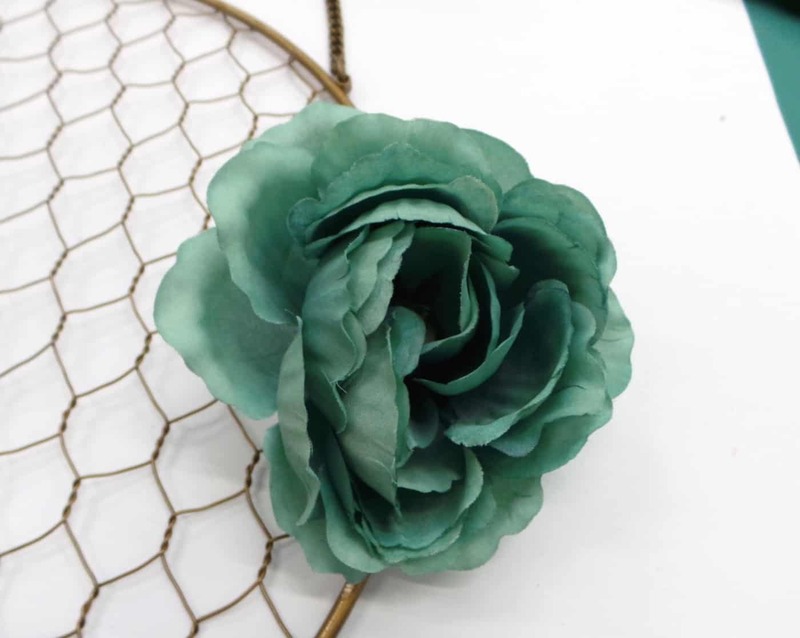 Are you interested in experimenting with faux flowers? Give it a try! 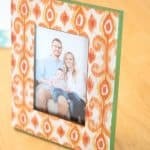 If you don’t know where to begin, you can always take a look at some of the fun projects on Michaels.com or the other 49 Makers’ ideas on The Glue String for to see how they personalized their crafts!